I finished them late last night, but this is how far along they were by late afternoon. They don't stand up on their own any more, being more than a bit top heavy, but they fit perfectly. 1/ the fingertip decease is off by about one stitch, just enough to drive me crazy feeling the seam on the tip and nail of the two closest fingers, instead of on their sides. 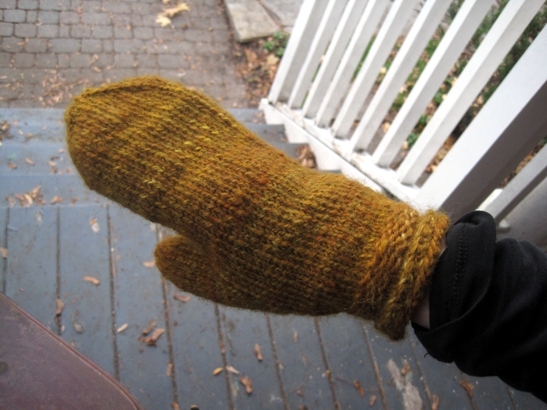 I'm considering ripping back and fixing that one, but there is so much halo and density to these mitts I'm not sure I could even find the end where I ran it in, so as to pick out the grafting. Maybe the problem will resolve with blocking? One is nearly at the toe, the other is just out from its heel gusset. I could be done this weekend, especially if I go on watching complicated programs with subtitles. 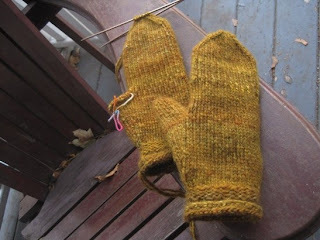 If it weren't for those, the mittens would have been done two days ago and the socks would not be as far along as they are. 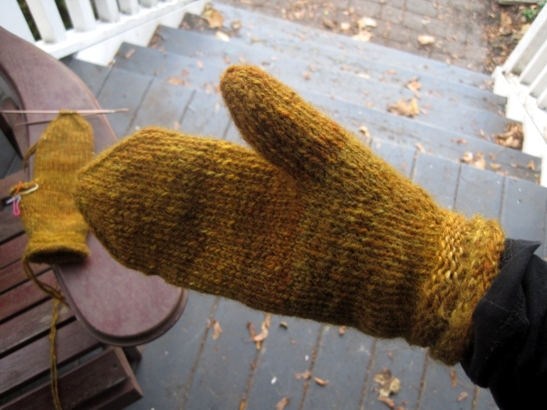 Lesson learned: always have some majorly plain knitting on hand because sometimes it's all you can manage. Oh, and grocery shopping too, because things are getting pretty dire around here. Think today should be a coffee day, or will tea do? Hope you're able to stay awake for everything you want/have to do today, and I'll see you tomorrow! YES! Sign up for the pilates class, pilates leaves you feeling awesome!